The song says, “it’s the most wonderful time of year,” but for many of us this is not the case. Whether it is the reality of familial brokenness, the remembrance of a deceased loved one, or a deep sense of loneliness, the Christmas holidays are difficult for many. As we approach the season of Christmastide and celebrate the reality of Emmanuel, the with-us God, I am reminded of our stated value of consolation at COTC. As people who have received comfort from the “God of all comfort”, we want to extend that to others in His name. 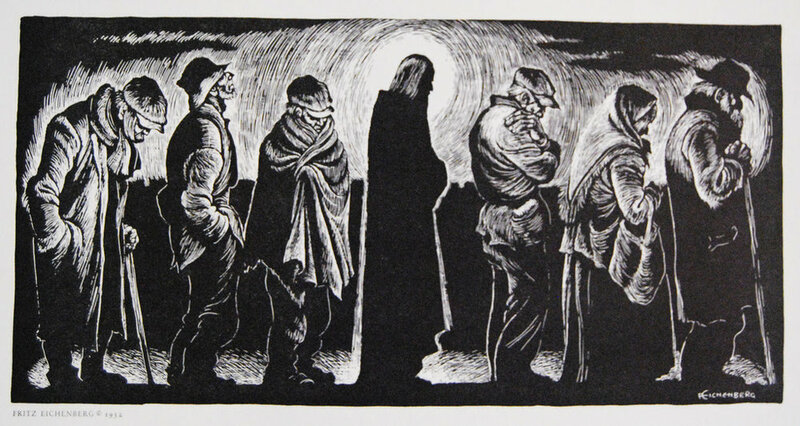 This season provides us with a special opportunity to do this — to reach out to those whom we know might be lonely, to extend ourselves in generosity and solidarity to the poor — all in imitation of the God who has extended Himself to us in Christ. Part of the difficulty for some of us this season might be the ways that the celebration of the birth of the Prince of Peace puts in stark relief the brokenness of the world and the suffering we see and experience. We’re confronted in a powerful way by the what philosophers have named as “the Problem of Evil.” Beyond the reality of Christmas celebrations, we remember that the Sutherland Springs shooting took place last month and last week was the fifth anniversary of the shootings at Sandy Hook Elementary. In light of the presence of the Prince of Peace, of Emmanuel, how are such things possible? At COTC we are blessed with a number of students in the philosophy department of UT. One of the gifts they contribute to our church is the rigorous thinking they can apply to such questions. Justin Morton, a PhD candidate at UT, wrote this reflection on the “problem of evil” for our edification. I encourage you to check it out. We can’t explain away the reality of suffering, but honest and rigorous grappling with these questions can be part of the consolation we experience and offer in Christ. If you have any questions or words of appreciation, feel free to bend Justin’s ear in the weeks to come. We will plan to have Justin and others' contribution around topics like this further in the future. Finally, this Advent and Christmastide, what are the ways you might need to receive or extend consolation?